The Laban Library and Archive have put together a display of items that contextualise the Historical Project performances being performed by the second year BA(Hons) Contemporary Dance students on Thursday 13 June and Friday 14 June in the Bonnie Bird Theatre at Laban. Items displayed include photographs of works by Lea Anderson choreographed for Transitions Dance Company, the work of Steve Paxton and fellow experimental choreographers Douglas Dunn and David Gordon, works by Martha Graham from the early 1930s and works by Richard Alston which form the basis of a new work being performed by the students. 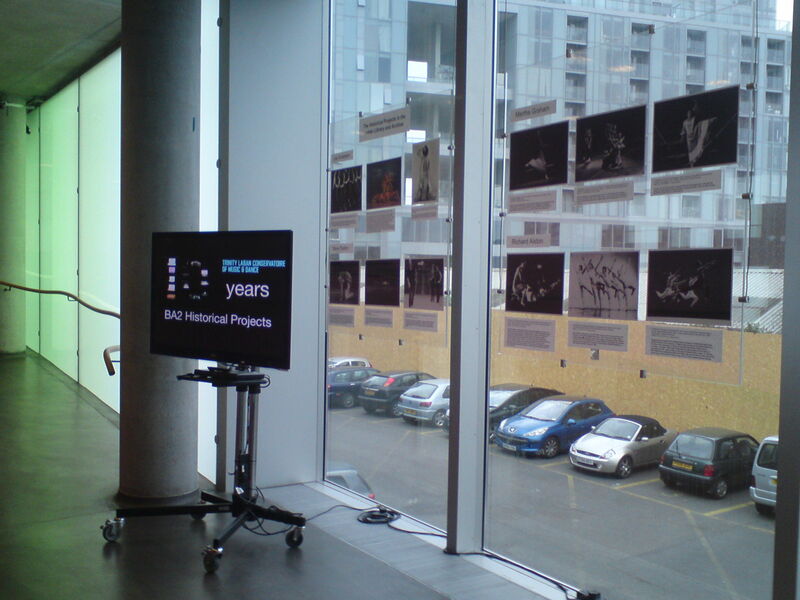 Alongside the photographs is a compilation video of clips from the last ten years of Historical Project performances at Laban. The display is at the top of the ramp in the Laban Building at Creekside until Monday 17 June. Come and have a look! This entry was posted in Archive, Displays/Exhibitions, Library resources and tagged displays, Historical Projects. Bookmark the permalink.